Whether you are evaluating a trial version or getting ready to go live with Abtrac 6 you’ll need to adjust/enter some default settings before you start. Typically your Abtrac 6 account will have no data, nor any customised settings when you first login. This article contains a step by step quick guide for administrators – taking you through page by page to verify that the settings in Abtrac suit your company’s needs. 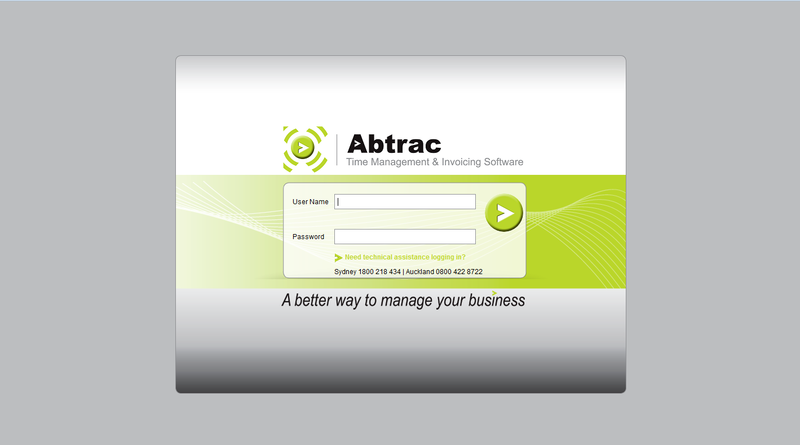 Now that your Abtrac account is activated you might like to pin or save the login page for easy access. Be sure to keep your username and the password to your Abtrac account confidential at all times. These are your Abtrac credentials. If you lose them there is no way they can be recovered. All we can do is reset them or remove them. Remember too, if you are evaluating an Abtrac trial you have free unlimited email support and free telephone support (phone calls are limited to 10 minutes each). We make these free offerings because it’s in both our interests that you find Abtrac a pleasure to use. And if you need help, we want to quickly get you back on track so you can fully evaluate Abtrac. If you are going live with Abtrac 6 then of course the same support applies and it’s likely you’ve already scheduled a time for a getting started training session. If you haven’t then do give us a call, we offer online or in house training to get you and your staff off to the very best start with Abtrac. When entering data you need to save your record before moving onto the next entry/screen. You’ll see add, delete, and edit buttons on most screens too. Other buttons represent other similar actions across all the pages – hover on a button to see it’s function on any specific page. The first thing to do after logging in to your account is to verify the default settings of Abtrac suit your needs. Choose from the menu, Administration > Settings. 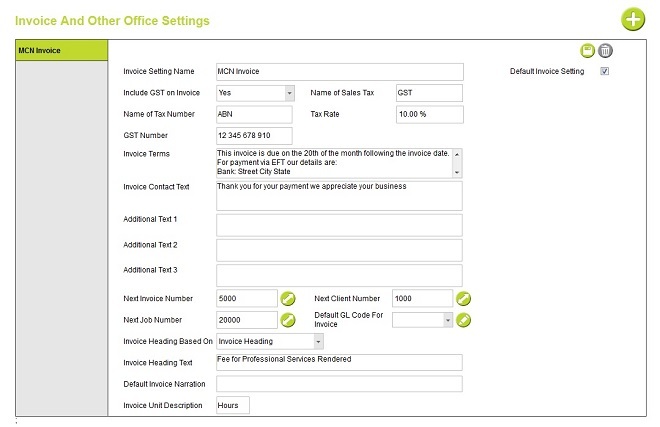 Then check out System Settings, Office Settings, Invoice Settings and User Control Settings. Changes and settings in the Administration screens affect how all of Abtrac looks and behaves for your entire business. In the same neighbourhood you will see you can enter employees, users, and create user groups and privileges. The Maintenance pages let you set up standard lists of data from which users can pick in other Abtrac screens. To set up your account in Abtrac you may need to collect a few key things, or decide on how you want to use some areas before you start. Setting up may only take a few minutes. This will depend on how much data you want to bring in, how readily available it is, and if you need support. It’s worth taking the time to work through the administration settings so that the system suits your needs to start with, you can always come back and spend more time adjusting these settings later. Choose the words you use for Job, Task, Client Owner(s) and Job Owners(s). Define your job numbering system, and whether Tasks and Activities will be required for all jobs. Set your timesheet units e.g. 1=1 hour, and other timesheet properties in this screen. You can enter more than one office in Abtrac and nominate one as the default office. The User Control Settings in particular are a big plus for Abtrac. These allow you set which fields everyone is allowed to see and in which order, on screens such as timesheet entry and elsewhere. 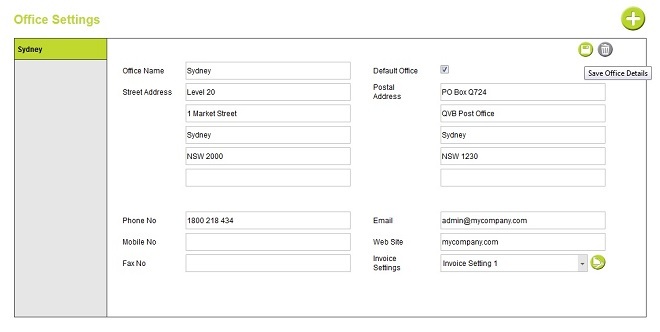 They also let you set the position and widths of fields on your invoice printouts, giving you significant control to suit your business needs. You’ll probably want to take a look at each of these screens to get a feel for how they look before you start editing the layout and available fields. 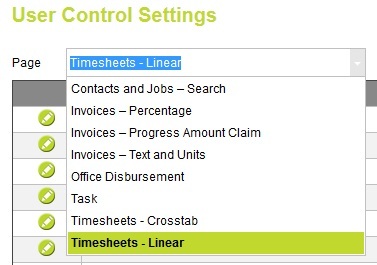 The example below is for the linear timesheet layout. Define access rights (Privileges) for those employees, and then assign your employees a user group and password. Lastly you may wish to set up some default options for your pick lists throughout the system. Many of the categories in these screens will then be included in Reports. You can add choices for Activity, Department, Team, Disbursement, Job Status and Job Type in these screens. Now that the administrative side of Abtrac is set up, the next step is to enter some clients, jobs and timesheets before moving on to look at invoicing and reports. From AbtracOnLine > Help there are a number of How To Videos which walk you through the everyday actions in Abtrac. This entry was posted in Administration Settings, Getting Started, System Management and tagged administration, default settings, installation, system settings, user settings by Jen. Bookmark the permalink.